Providing you the best range of 1/8 - 1/4 inch exel valves, 1/4-3/4-1/2 high flow valves, 1/4 inch modular spool valves, 3/8 inch basic double poppet valves, 3/4 inch basic double poppet valves and pneumatic valves with effective & timely delivery. 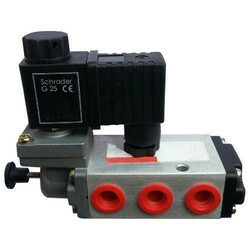 These high performance and miniature size valves are available in 1/4 inch and 1/8 inch port size in 5/2 and 3/2 versions. Streamlined construction, ideal for easy ana compact gang manifolding. 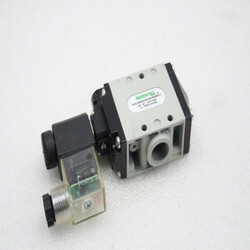 These new generation of spool valveswith high flow capacities are available in 1/4 inch port size in 5/2 and 3/2 versions. Wear compensating "dancing seals" Design. Choice of side and subbase porting. Available in Bar type and Subbase type gang mainfolding. These Modular spoolValvesare sturdy in consturction and aretime tested for their wide applications and ruggedness. Available in 5/2 and 5/3 versions. Subbase type gang mainfolding available. These Poppet Valves are designed to give-long and trouble free service under the most arduous conditions. Available in 1/4,3/8 and 1/2 inch sub base port connections. 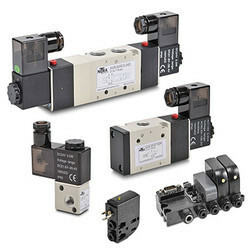 Available in Solenoid, Manual or Pilot actuations. The design of face sealing on Poppet makes the valve "Self Cleaning" under adverse air cnditions. 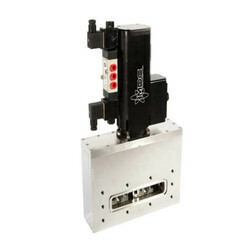 Ideal for actuation of Air cylinders of 8 inch Dia and above. Exel Valves, High flow Valves, modular Spool Valves, Poppet Valves, Direct Acting Valves,Quick Exhaust Valves. Solenoid Coils of Standard Voltages. Port Sizes and Mounting as per ISO.